San Mateo County Government Center, 400 Broadway at Hamilton Street. About 1,700 union members who work for San Mateo County are planning a two-day strike Feb. 13 and 14 against health care cuts and what they say are unfair wages. The workers, members of the American Federation of State, County and Municipal Employees (AFSCME) union Local 829, work in numerous county departments. They voted 97% in favor of the strike after negotiations between the union and the county reached an impasse, a union press release said. The union represents groups such as public safety dispatchers, who can receive between $67,380 and $93,168 a year. Also represented are pharmacists, who can make up to $146,000, fraud investigators, who can earn about $77,000, and park rangers, who can earn between $69,408 and $102,012 a year. “These workers deserve fair wage and benefit increases that are consistent with neighboring counties and keep up with the cost of living,” said Dina Fitch, a union member who works in the County’s Welfare Fraud Investigation Unit, in a union statement Thursday (Jan. 31). The county and the union have met 25 times over the past seven months without reaching an agreement. 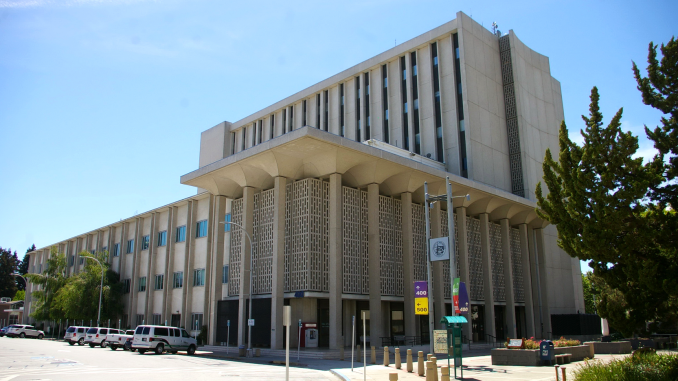 The county has offered a 9% “cost-of-living adjustment” over three years, as well as additional increases for certain jobs that come with pay that is substantially below the market rate and are difficult to fill. 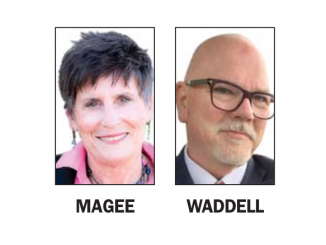 But union officials said the county’s proposed increases fall far short of offsetting increases in health care costs, and claimed that their members have given back tens of millions of dollars in wage concessions. The union contends the county can afford higher increases than it has proposed, asserting the county’s unrestricted fund balance is relatively flush. During the strike, county workers intend to maintain essential services and will implement contingency plans to minimize service disruptions, Callagy said. 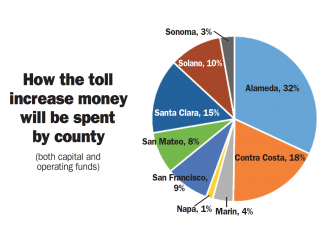 What do we get if we vote to raise bridge tolls? Your article does not mention the majority of staff who earn FAR less than the wages you mentioned herein. This makes your reporting seem very one-sided. You also did not mention that Mike Callagy is a double-dipper … he draws a pension of over $200,000 at the same time he is earning a salary of over $300,000 as County Manager. 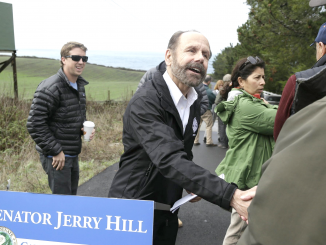 Don Horsley is another county employee who is double-dipping and he ran for his seat on the Board of Supervisors under the premise he would not accept the $120,000 salary that goes with the job if he was elected. Then after winning the seat, he elected to accept the $120,000 salary on top of a San Mateo County pension of over $215,000 he gets annually. When asked why he changed his stance after declaring he would not double-dip, he stated he did not recall making that promise and then stated that at the time he was running for office San Mateo County was in a time of “austerity.” Callagy and the Supervisors are claiming we are approaching austere times again. Perhaps they should stop collecting all or most of their salaries if they already have pensions to show they really care instead of asking front-line workers who range from custodians and cooks and entry level staff to the top paid positions your article touted to go without. Maybe they should also stop holding the workers’ sick pay hostage in lieu of a decent health plan that workers can invest in for retirement. The Daily Post needs to represent the FACTS in a balanced way if they want to be considered legit! I think the Daily Post did a very good job presenting the facts in a balanced way. In fact, this story contains much more information from the union than from management. But my guess is that union leaders are upset that the actual salaries of the union members are mentioned. That makes them seem less sympathetic. Pretty SAD that you print only what your told to print instead of investigating the truth!! I’m an Intake BA doing four programs such as CalFresh, Medi-Cal, CalWorks & General Assistance for county residents. We get paid $70,000 a year, nothing close to what has been reported, $93,000-$103,000. We haven’t had a raise in 5 Years! Public Assistance workers/ Benefits Analysts are only getting a 6% raise/12% over three years, a 9% raise!! This two day strike did nothing for us! The county won!! It’s just sad that they don’t take care of their employees! Just get it right before you type it up and get the wrong information out to the world! Look how much Calleghy gets & and we are begging for kibbles and bits! Just really sad !! Since EJS complains some county employees make less than the examples cited here. As a union guy or gal, I’m sure EJS believes in the redistribution of wealth. So here’s a chance to apply those principles. Reduce the high pay some are getting in this bargaining unit and give it to the low paid workers. Problem solved. And I’m sure John Galt would love to do the work these public servings do on a daily basis with the volume of clients they have to serve daily. Sit down and take a chill pill Johnny. Believe it or not, lots of people on the bargaining unit have mouths to feed, the likes of which you have no empathy for. I find it amusing that they chose to speak about fraud investigators when the surround counties equivalent are making much more. For example fraud investigator starts at $77,000! Santa clara starts at $88,000 and goes to $107,000. Even though these wages sound high, they are under market. San Mateo County is losing excellent employees to the surrounding counties who pay more and have much better retirement plans. How come the unions and their defenders on this string never bring up the fact that these workers will get lifetime pensions and lifetime health insurance, courtesy of the taxpayers. Even if their pay is below somebody else’s, the retirement benefits make up for that. Mae. That is exactly the strike is for. Lifetime health insurance is only for manager level or above, none of them is represented by this union. Part of the pension is funded by employees’ salaries. So what you mentioned is not really a fact. It’s fun to watch the socialists squirm and lash out when they’re asked to simply taste the same medicine they want all of us to swallow. But they don’t address the question! What about cutting the salaries of the highly paid workers in this bargaining unit to help out the lower paid ones? Isn’t that what you want to do throughout the United States? Why wouldn’t you be willing to practice what you preach? Isn’t it time to address income inequality! Cutting the salaries of the highest paid workers doesn’t work when they are already substationally under market compared to the surrounding counties. This must be an opinion piece written on behalf of one of the richest counties in the United States. To Mae J: You do not know what you speak of. We do NOT get lifetime health insurance. As it stands now, our retiree health is paid by our unused sick balance amount at the time of retirement. Which means, should we have children or get sick and use up that time, then we pay for it in the end. This is unfair for those with families and those with sickness. This article is written very one-sided and makes us employees look greedy. On the contrary, San Mateo has recently constantly bragged about being the richest county in California but tells us employees that they are unable to provide us with an appropriate cost of living raise. 9% over three years? Yeah, unfair when the annual cost of living increase is 4.5% A YEAR. Accepting that offer is essentially us all taking a pay cut. Not to mention that we all agreed to a pay freeze for multiple years during the recession. As much as we make now, majority of employees can’t afford to even live in or near the people we serve. Disgraceful. Looks very generous to me, but I’m just a taxpayer who has to fund this. I realize the recipients feel entitled and want more. But us lowly people in the private sector, who have to scramble to pay our county property taxes on April 10 and Dec. 10 each year, don’t get anything like this. As I understand it, 2%@55 means this … at age 55, an employee is eligible for a pension. The pension amount is based on your highest year’s gross earnings, usually your last year … if you have 30 years of service, multiply 30 by 2 and you get 60% … your pension is 60% of your highest year’s salary. Pretty nice. I’ll be working long past age 55 to pay your pension. And you guys deserve a raise? Isn’t this generous enough? We ought to cut your pay. I can’t afford this. You’re taking money out of real people’s wallets and demanding more. I’m puzzled as to why the pro-union commenters think this article is unfair and one-sided. I see no editorializing by the author at all. The first three paragraphs report basic facts, such as the union’s vote. Then, under the heading “What are workers paid?”, the salary ranges of various employees in this union are given. Is presenting that information objectionable? The remainder of the story factually states how often the two sides have met, what the union’s objections are, and a statement from the county manager that’s attributed to him and put in quotes. There are two quotes from union officials (Felipe Donaire and Dina Fitch) and only one from the county management (Mike Callagy) at the end. The union is over-represented in this report. In fact, most of the story is focused on the union’s demands, and the story presents very little rebuttal to those demands. Maybe one of the people above who claimed this story was “one-sided” could explain their thinking. They’re not going to explain their thinking because their objection is that the Post printed the salaries of the workers. They don’t want that part of the story known, so they’re throwing mud to distract people. I’m not sympathetic to workers who pull down lavish salaries and get life-time pensions. I’d like to retire at 55 but can’t, partly because I have to pay taxes to keep these leaches well-fed.